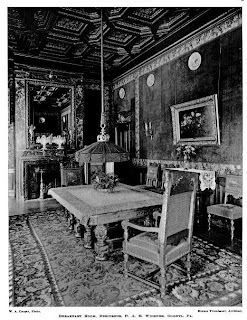 'Lynnewood Hall', the Peter A.B. 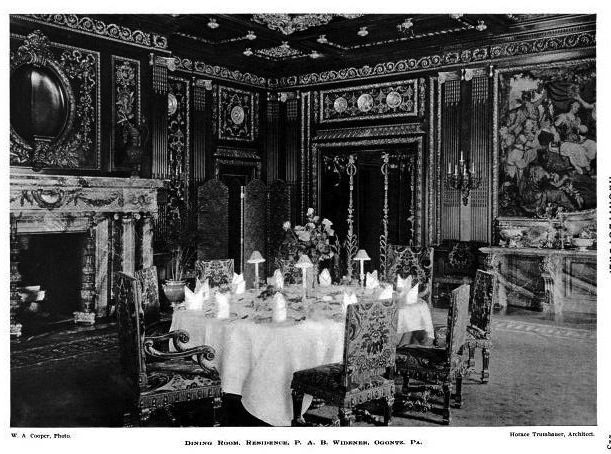 Widener estate designed by Horace Trumbauer c. 1898 in Elkins Park, Pennsylvania. Widener was a traction and tobacco magnate with large holdings in the American Tobacco Company, Standard Oil and U.S. Steel where he was also a director. Along with his very good friend and neighbor William L. Elkins, who resided at 'Elstowe', the two helped develop the street car system in Philadelphia. The pair were linked for many decades and in Elkins' obituary they were referred to as the "Traction Twins." His son George D. Widener and grandson Harry Elkins Widener died on the sinking of the Titanic. 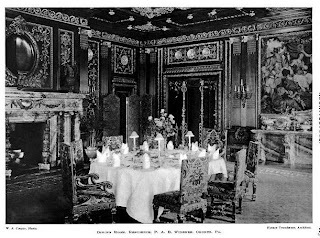 Widener's art collection was considered one of the finest in the country and was so impressive that roughly one third of his obituary was dedicated to describing it. 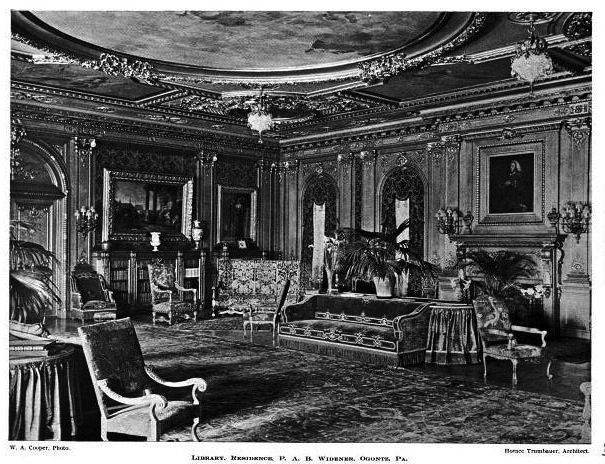 Widener died at the home in 1915 at the age of 80. In 1952 the estate was purchased by the Faith Theological Seminary and since 1993 has been owned by the First Korean Church of New York but remains vacant. 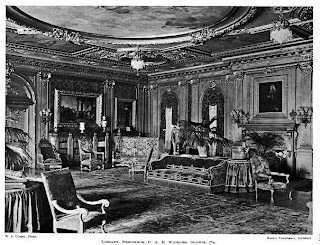 Click HERE for more on 'Lynnewood Hall'. Click HERE to see the estate on google earth and HERE on bing. The building was built to stand for centuries and could serve so many contemporary functions. It would be an epic failure for everyone if this structure was demolished like Whitemarsh Hall. 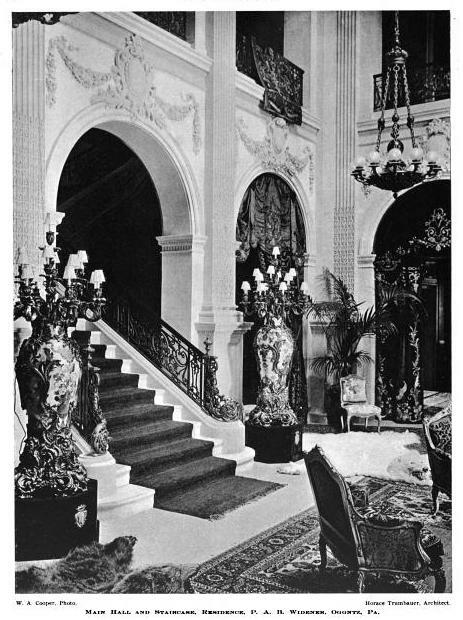 I agree with archibuff, although I understand many of the grand interiors of been stripped of paneling, marble, etc. 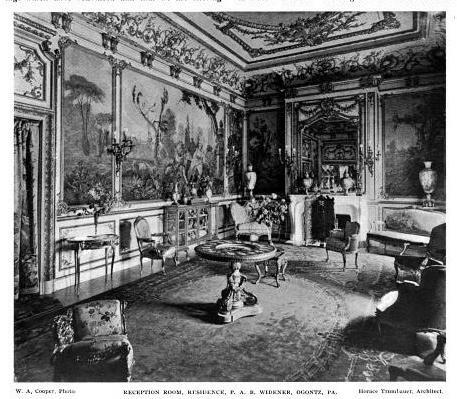 The Widener family should have had a plan like Frick had, to turn the place into a house museum with a large endowment. The art collection certainly rivaled Frick's and the house and gardens would have been an added attraction. So much for hindsight! The Widener Library at Harvard, by any reasonably standard, swamps any art museum in the world, including the Frick. At least for the ever-diminishing number of people who read. 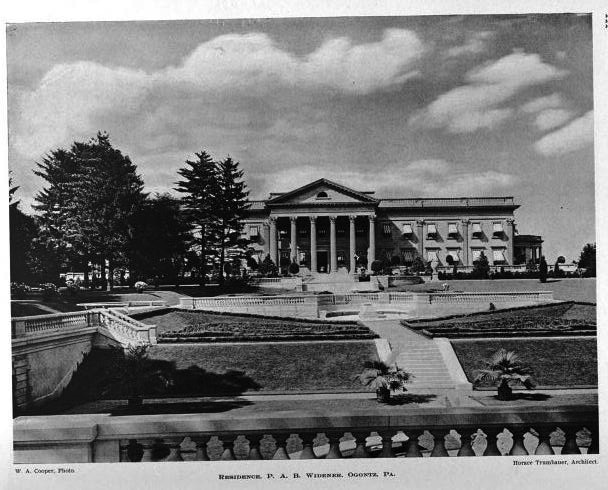 In its second iteration, with the gardens redesigned by Jaques Greber, and the interiors refined for Joseph Widener, and minor adjustments to the exterior, improving the slight awkwardness of proportion (once described by a wag as 'looing like the US Mint, only with fountains, the house too long, with the odd placement of two windows between each pilaster) by making the portico tympanum more emphatic. This second iteration was undeniably one of the great ensembles---house, gardens, interiors, art collection---of its era. A shame indeed that it couldn't have been all preserved in situ. 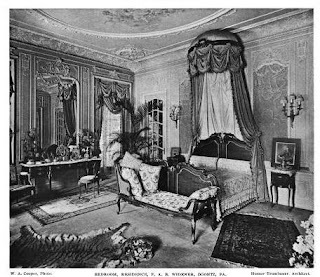 But, in reality, it was probably considered and found impractical---unlike the Frick, the estate wasn't in center city, and Ashbourne at the time was still a residential suburb. And an adequate endowment would have taken a substantial chunk of Widener inheritances. It's easy now to say 'it should have', but the reality at the time was probably far less certain or practical. And at least we get to enjoy the art at the National Gallery. As to the current ownership situation and attendant problems at Lynnewood Hall---well, it's the stuff of fiction---who could make this up? Ugh, the agony. I grew up near Lynnewood Hall...and have loved it ever since I first set eyes on it. I wish so badly for it to be restored to its glory! It's one of Trumbauer's greatest residential achievements in Philadelphia. I simply melt over it. Absolutely wonderful blog, by the way. 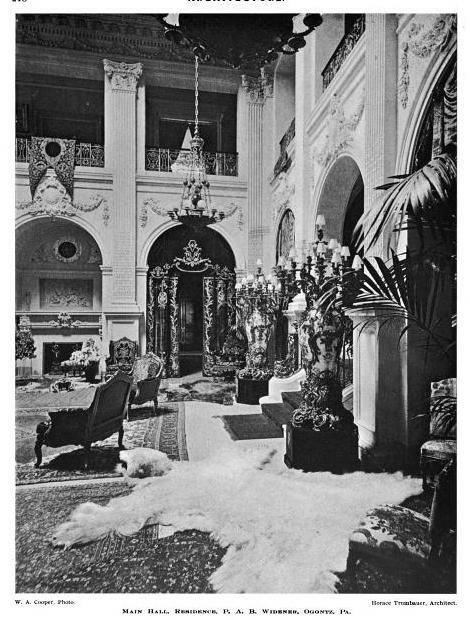 That main hall is a direct ripoff of Hunt's for the Breakers. I did a double take when I saw it. I wonder if it was a request of the owner, or an homage by the architect. I know how you feel there my great great great granddad founded the university of nc and built the landford canal, but all because he didn't leave a reprieve in his will we can't use any of his land, and can't go to the university, like other founders relatives for free, oh well the state of SC owns his land and a board runs the university without the first descendent on it!! Only if only i could get me hands on a time machine..